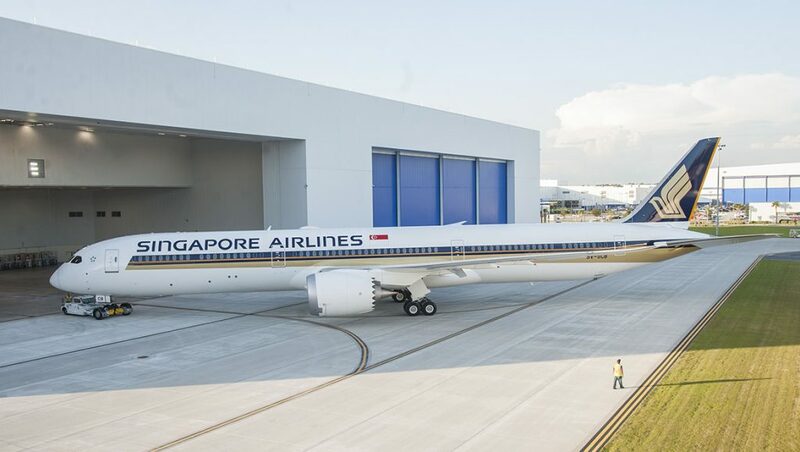 Singapore Airlines (SIA) says it has removed two Boeing 787-10s from service due to issues with the aircraft’s Rolls-Royce Trent 1000 TEN engines. The airline said on Tuesday “premature blade deterioration” was found on some engines during routine inspections. “Pending engine replacements, two SIA 787-10 aircraft have been removed from service,” SIA said in a statement on its website. 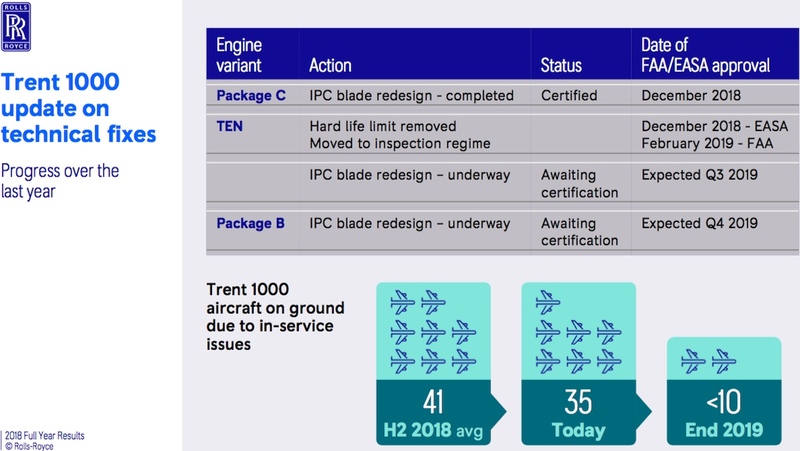 Also, SIA said it proactively identified other Trent 1000 TEN engines in its 787 fleet for precautionary inspections, which have now been completed on the airline’s 787-10s as well as all but one 787-9 in its low-cost-carrier Scoot’s 787-8 and 787-9 fleet. The airline has substituted alternate aircraft on routes affected by having two 787-10s out of service. “However, as capacity may be lower on replacement aircraft, some customers may be affected and they will be contacted accordingly,” SIA said. “We regret the inconvenience caused and sincerely apologise to customers whose travel plans are affected, and seek their understanding. The Singapore flag carrier and Virgin Australia alliance partner received its first 787-10 in June 2018. The aircraft is used on the Singapore-Perth route. The global Boeing 787 fleet has been affected by some durability issues on the intermediate pressure compressor (IPC) rotor blade for Trent 1000 engines. In terms of a long-term fix to the problem, Rolls-Royce has redesigned IPC rotor blade for Trent 1000 Package C engines, which was certified in December 2018. Meanwhile, certification for a redesigned IPC rotor blade for Trent 1000 TEN and Package C engines was expected in the third and fourth quarter, respectively, of calendar 2019. 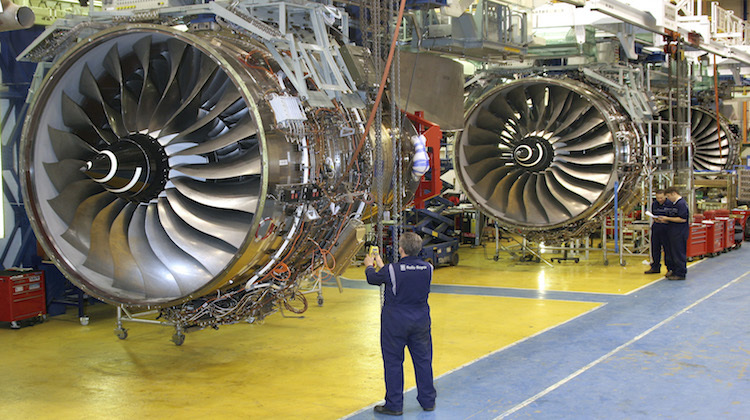 Further, Rolls-Royce said regulators recently changed a hard life limit on a compressor drum on the Trent 1000 TEN engines to an inspection regime. Rolls-Royce said the total cash cost of the Trent 1000 engine issues that have affected Boeing 787 operators around the world to be 1.5 billion pounds. In addition to the cash cost, Rolls-Royce also booked a 790 million pound exceptional charge in relation to the Trent 1000 issue in its calendar 2018 full year financial accounts. This was up from 544 million pounds for the half year. Rolls-Royce told the Reuters news agency on Tuesday a sampling a small population of the Trent 1000 TEN fleet flown in more arduous conditions had shown that a small number of these engines needed to have their blades replaced earlier than scheduled. Further, Rolls-Royce said it had informed operators that the high-pressure turbine blades in the engine would have a limited life. The engine maker said it regretted any disruption this had caused to airline operations. So Rolls-Royce regrets any disruption to it’s customers operations! Really?! One would have thought that comment would be wearing a bit thin by now!